Growing up in the mid 80's allowed me to fully experience two amazing video gaming events: the rise of Nintendo and the video game arcade. 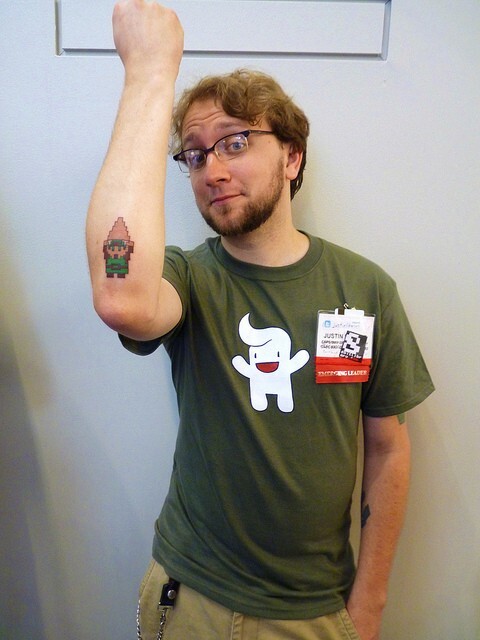 Both hold very special places in my heart (as you can see from my Legend of Zelda tattoo below) and I’ve made it a professional goal of mine to use those experiences as inspiration for things I do at the libraries where I work. 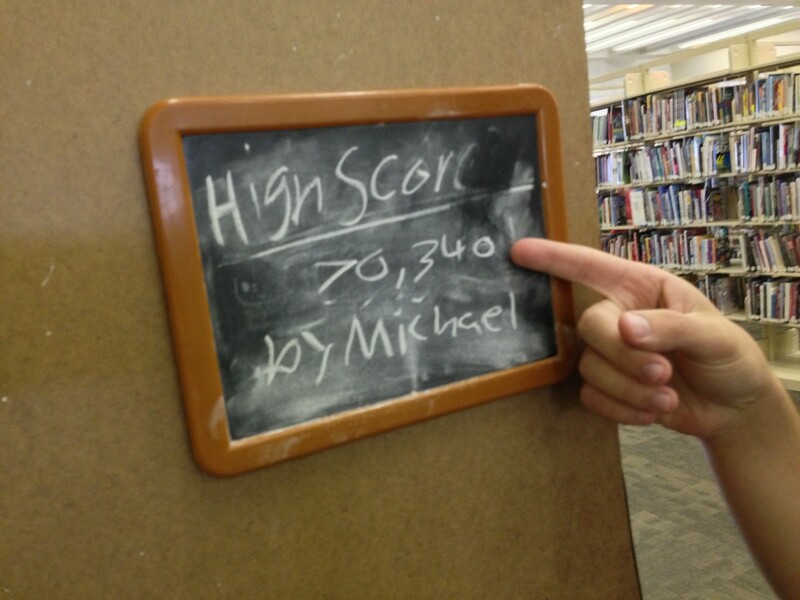 I’ve had great success with video gaming in libraries over the past five years (see here and here) but I’ve never been able to fully capture the spirit of the video game arcade until last month. 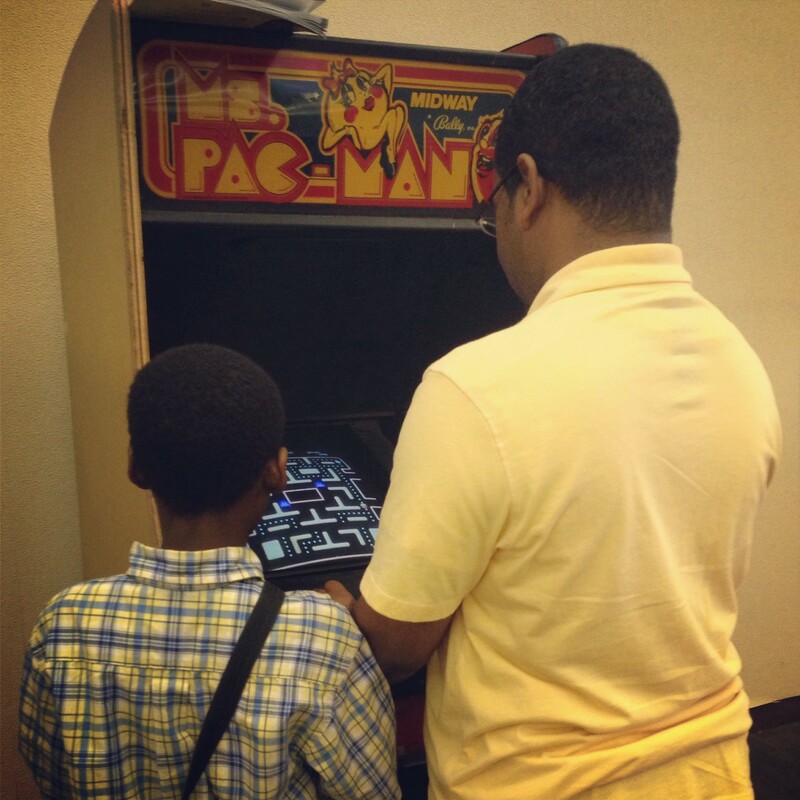 Setting up home video game console in a library sort of replicates the video game arcade experience. You’ve got the gaming experience, the community setting, and the excitement. But there’s just something about standing around those old wooden cabinets that’s lost with console gaming. There’s a connection and a community built around those machines that can’t be replicated with other forms of gaming. That’s why last month I obtained an original 1981 Ms. Pac Man arcade machine for the 2nd Floor of my library. Our 2nd Floor is currently in the middle of a major renovation and shift in thinking about how we provide service to our community. For us, it’s not so much about the stuff we have but the connections and memories we make. The 2nd Floor is a community hub for ages 0-18, a place where kids, tweens, and teens in the community can come to learn, relax, have fun, connect, and more. Ms. Pac Man fits in pretty nicely with this theme. Since we got Ms. Pac Man, groups of teens have started to hang around the machine, doing their best to top one another in high score contests. There are eruptions of the happiness every time a player pulls off an impressive move or evades one of those pesky ghosts. At the glorious age of 32, Ms. Pac Man is still creating connections and memories. It has finally found its perfect home in the library.